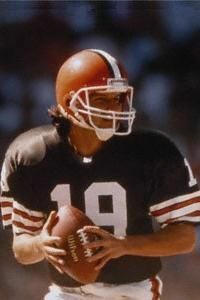 Various reports are stating that Cleveland Browns legend and hometown hero Bernie Kosar is talking to the Cincinnati Bengals and New England Patriots about joining their organizations in some capacity. I don't know the details, but if this happens it will make me sick to my stomach. Bernie IS Cleveland sports. We already have a stadium in Cincinnati named Paul Brown Stadium for Pete's sake. Holmgren needs to understand the need for Bernie to be with the Browns and act swiftly. It goes beyond football operations. Please Mike - keep Bernie at home where he belongs!